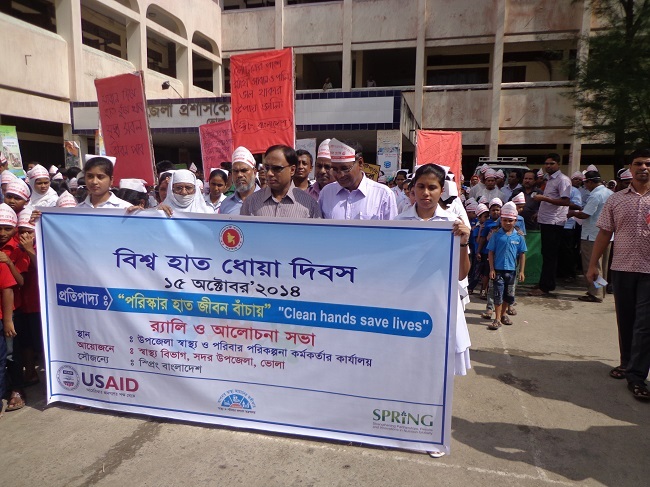 SPRING/Bangladesh is committed to advocating the importance of handwashing. 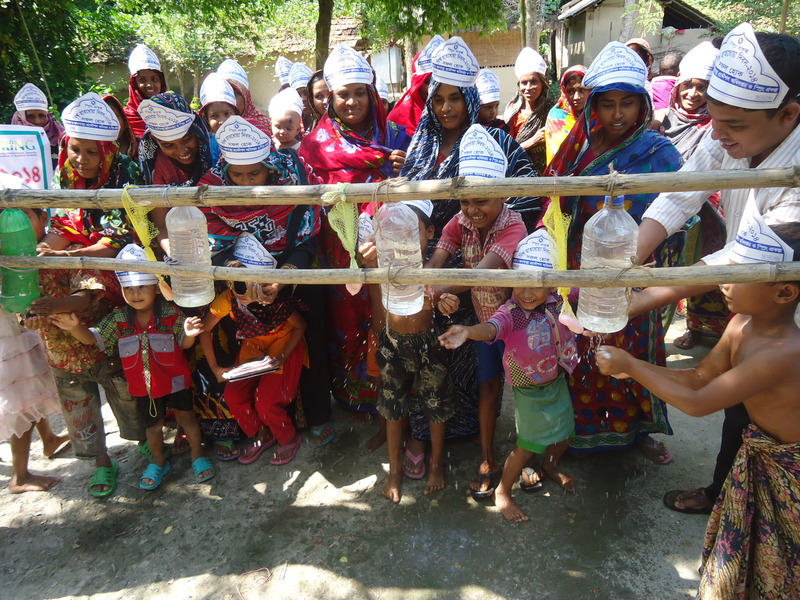 As a central component of its work, SPRING works hand in hand with the Government of Bangladesh and with rural communities to ensure that handwashing is prioritized, that its importance vis-à-vis nutrition is underscored and emphasized, and that families understand its importance in early childhood development. 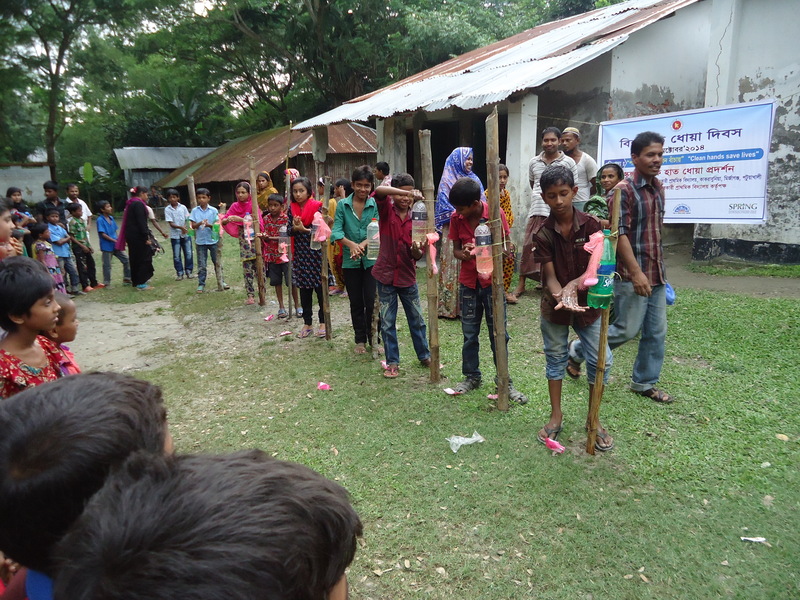 On October 15, 2014, SPRING held a large number of activities across its 40 working subdistricts, or upazilas, to mark the occasion. 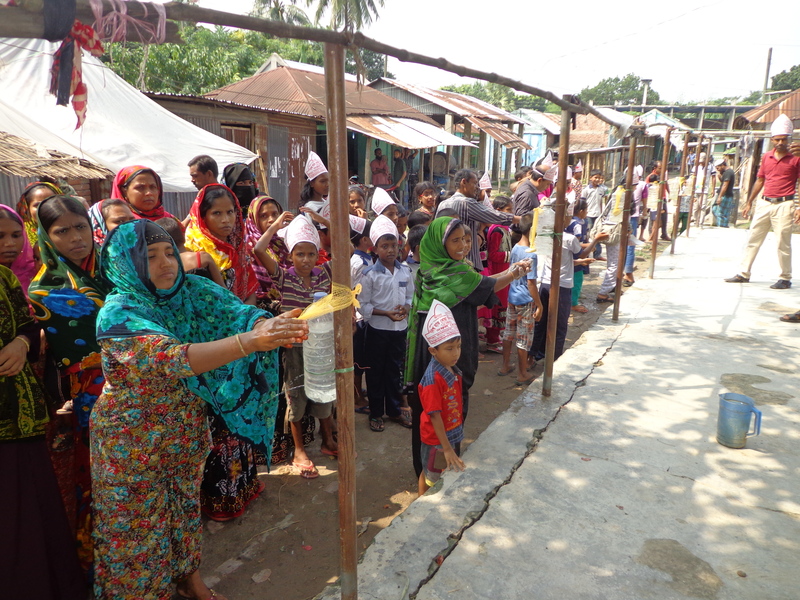 Working at the community level all the way up to the national level, SPRING organized technical discussions, set up special tippy-tap demonstration stations, held “miking” events (using microphones to transmit messages), and organized marches and rickshaw rallies. 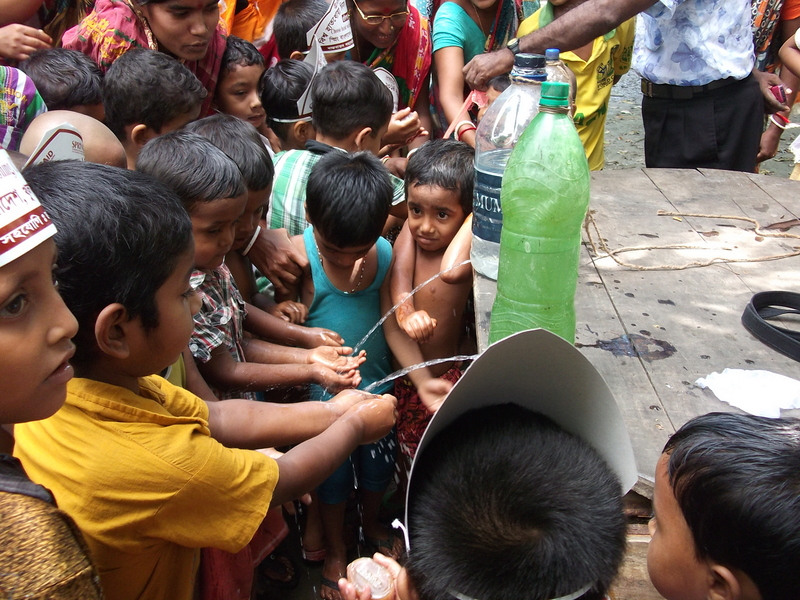 This wide array of activities helped engage all members of the community and helped make this year’s World Handwashing Day a success. 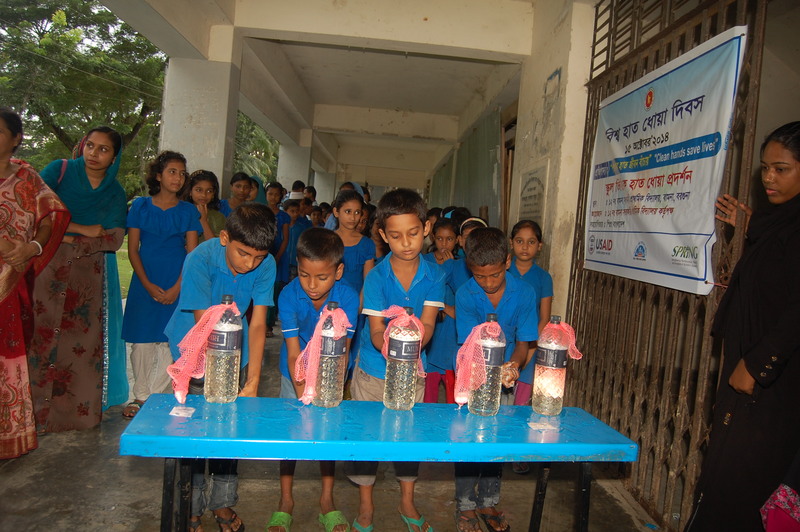 These events served to remind families and community members as to the importance of handwashing, particularly for infants and young children who are more prone to infection. Infections can adversely affect their bodies’ ability to properly absorb necessary nutrients during the first two years of life.